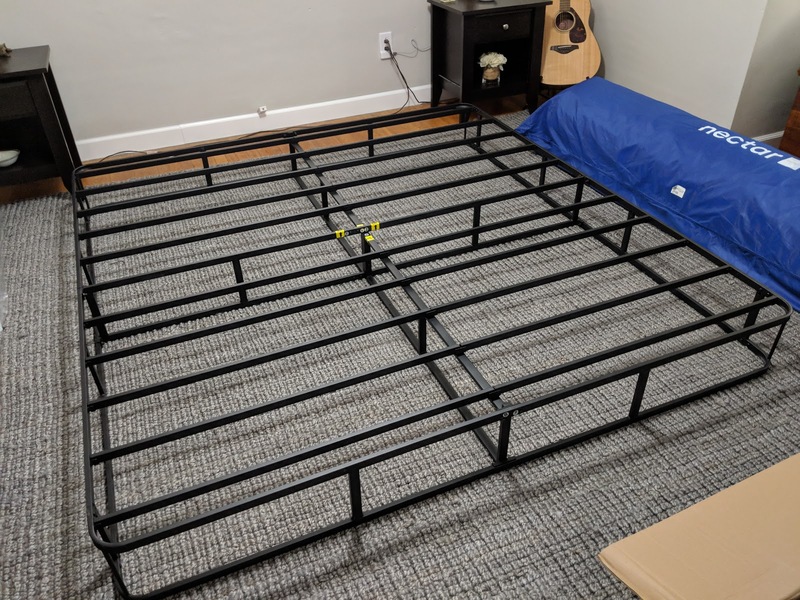 The new Nectar bed needed a base, and box springs are a useless expense with a foam mattress, so I opted for this assemble-yourself foundation. Each end of each piece has a number that gets matched up with the same number on another piece and then bolted together. When that's understood, it's a piece of cake to assemble. It gets completed with an all-sides, zippered cloth cover that makes it look like a traditional box spring.